Vulnerable rural households need improved energy efficiency to help safeguard against the unacceptable number of additional deaths that occur during the winter months, says OFTEC. Unsurprisingly, the elderly are most affected with more than a third of deaths, as detailed in the latest Office for National Statistics (ONS) data, caused by health conditions such as respiratory illnesses which are made worse by cold temperatures. The problem is further exacerbated in rural areas where a higher proportion of people live in fuel poverty and so cannot afford to adequately heat their homes to stay warm and well. In March 2016, the budget for the Energy Company Obligation (ECO) – the main scheme to help fuel poor households become more energy efficient – was slashed by 40% to £640 million, resulting in the number of boiler upgrades carried out under the scheme falling within the first month alone by 83% to just 1,211 installations. The move away from new boiler installations has left many fuel poor households across England and Wales with no other option than to continue wasting money they can ill afford to lose on inefficient heating systems when a simple boiler upgrade could cut their fuel bills by over £300 a year or some 20%. 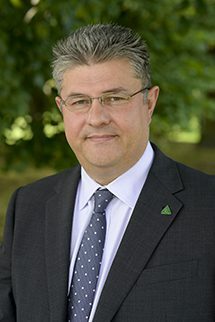 “For too long now Government has recognised the interlinked issues of fuel poverty and excess winter deaths, describing the situation as ‘scandalous’ and ‘unacceptable’, said Paul Rose, OFTEC CEO. “Yet policy to address the problem remains painfully inadequate. Changes to ECO have seen insulation become the key priority. Whilst insulation is a welcome step, it will not solve the issue of fuel poverty by itself, particularly as many rural properties were built pre-1920, making them difficult to cost effectively treat.